يشكل فندق Alpine View Lodge بموقعه الممتاز في قلب City Center نقطة انطلاق ممتازة لاستكشاف واناكا. يجذب هذا الفندق ذو 4 نجوم، والذي يبعد 2.3 km فقط عن وسط المدينة و عن المطار، الكثير من الزوار سنوياً. يشكل هذا الفندق ملاذاَ مريحاً للاسترخاء ويمنح زواره فرصة للاستجمام والتجدد، وهو يقع على بعد خطوات من المعالم السياحية الكثيرة للمدينة كمثل: واناكا, ‪Beacon Point Walk‬, The Artist's Corner. استمتع بالخدمات الراقية والضيافة التي لا مثيل لها بهذا الفندق في واناكا. تتضمن الميزات الرئيسية في هذا الفندق: واي فاي مجاني في جميع الغرف, خدمة التنظيف يوميًا, مدفأة, تخزين الأمتعة, واي فاي في المناطق العامة. لقد جهزت هذه الإقامة الفندقية بعناية فائقة لتوفر مستوى عالي من الراحة. في بعض الغرف يجد النزيل تلفزيون بشاشة مسطحة, سجاد, رف للملابس, قهوة فورية مجانية, شاي مجاني. يقدم الفندق مجموعة رائعة من الخدمات كمثل حوض استحمام ساخن, سبا, حديقة، لجعل إقامتك تجربة لا تنسى. إن Alpine View Lodge هو خيارك لخدمة الفنادق الراقية في واناكا. The only downside was the room was quite stuffy so we had to have the windows open all the time and were worried about disturbing the neighbours with the TV etc. Everything about our stay was wonderful! The Room was lovely, the bed comfortable, the breakfast a work of art, & the owners incredibly friendly & helpful! Very highly recommended, only wish we could have stayed longer! Peace and tranquility, welcoming and hospitable owners and cool cat. 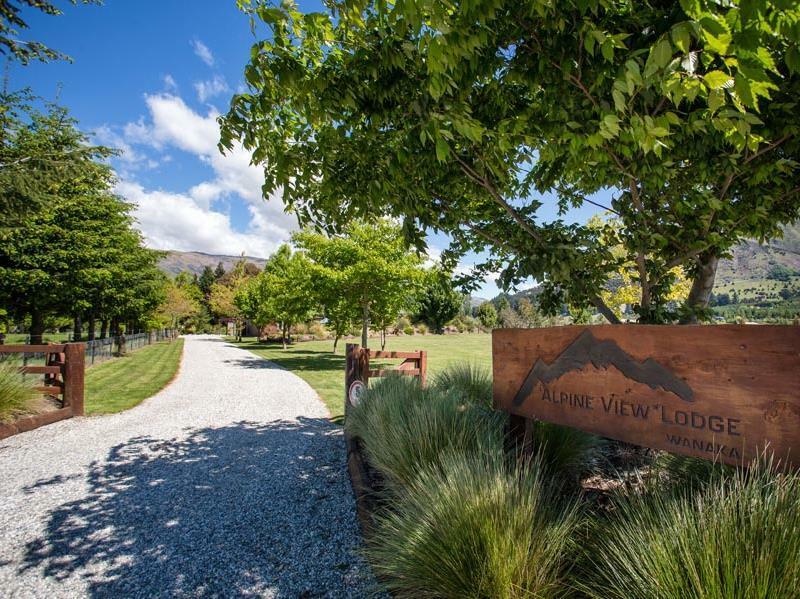 The Alpine View Lodge was such a lovely place to stay, we wish we had known- we would have planned to stay longer! Michelle, the owner was so friendly and interesting to talk to. The room was spacious, clean, well-equipped with a small kitchen & grill on the deck, and had beautiful views. The breakfast in the morning was delicious! Also, we got to meet & feed the sheep before leaving, which was fun after seeing about 2 million of them during our drive! Great room with a lot of space and an amazing view to the mountain range. Will stay there again next time ! I like the husband and wife. Both are nice people. Husband makes my daughter very happy to feed to Merino. The room is comfortable for us but we cannot cook. It will be good if they can provide cooking area in every room. Anyways I like the place. The place is beautiful and it exudes a relax ambiance that put you at ease immediately. I would rate the room (bed, toilets, toiletries, etc) equivalent to a 5 star hotel. The room is facing a beautiful garden (with a great view of the mountains), fireplace and a bench. There is also an outdoor jacuzzi where you can chill out in the middle of nature. The estate is also near a farm where my son can feed the sheep (the host has kindly come over to invite us to bring my son to go feed the sheep). 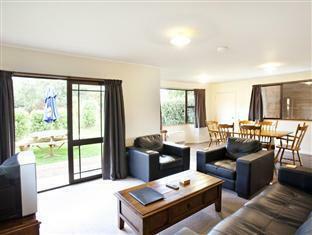 Though the place is not facing Lake Wanaka, I will highly recommend for anyone with families to stay here. My 3 year old son loves running around outdoor in the garden and i think he's happiest during our entire trip in New Zealand. If i were to plan my trip again, I will stay more days here. Its a great location just a short 5 minute drive into town. We loved the rustic feel of the place with its views of farmland and mountains in the distance. 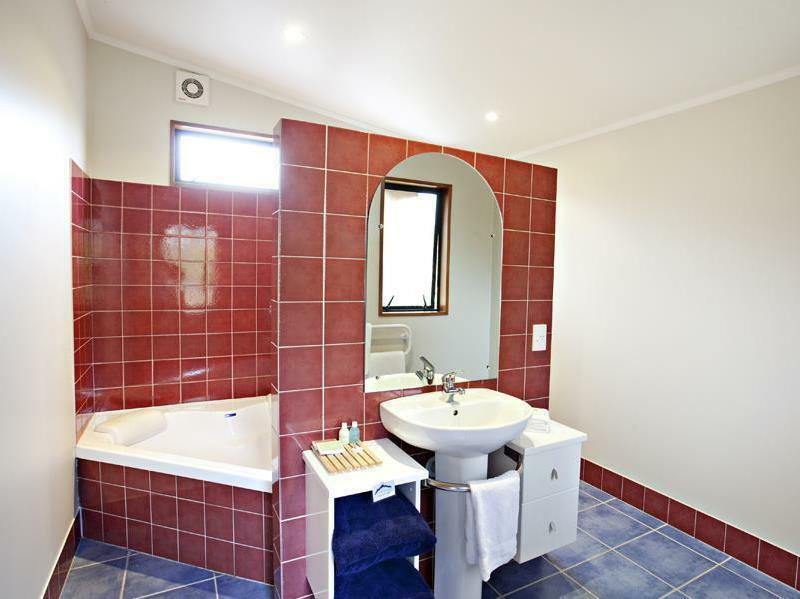 The property is very well maintained and the owners have paid a lot of attention to the rooms. Breakfast is served in your room at your appointed time which makes it great if you have a leisurely schedule. The owners have very good suggestions on the things you can do around the area. Nothing like local expertise to help you on your way. Overall, a splendid stay. We'll definitely be back this way again in future. Michelle, Craig, scrappy and the sheep! had a really good time here. michelle and craig were extraordinarily friendly and welcoming, and made our stay very, very comfortable. The rooms were very comfortable and warm enough for us to just want to stay in rooms all day (which we did on one occasion). everything looks very new and clean! We especially liked the dog, Scrappy, and the sheep which Craig very kindly introduced to us. Great place with great people. WIll make this the place to stay when we next drop by. 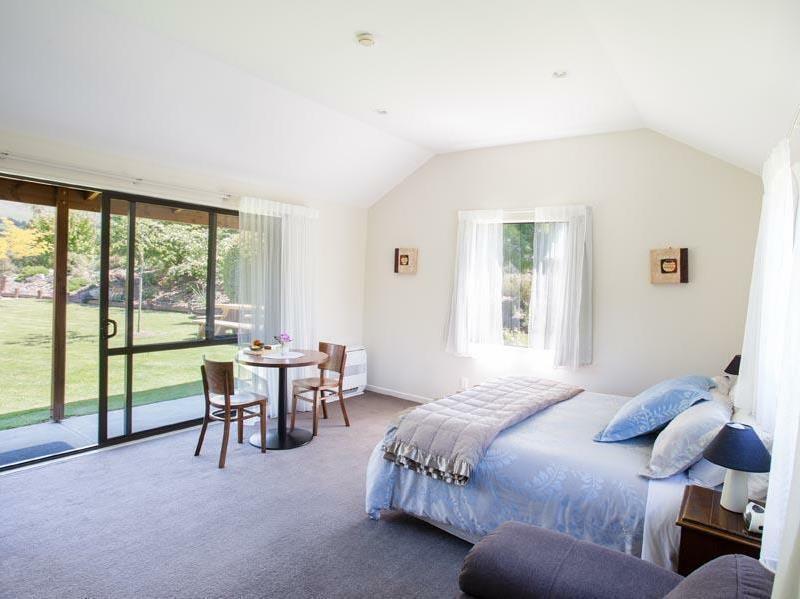 They also prepare menus of the various restaurants in Wanaka and keep copies in your room so you can decide where to eat before leaving. really comfortable stay, the room is very clean, the host is very nice, the bed is comfortable, view is good. Highly recommended. Nice room with friendly service. The bed was comfortable and the room was spacious. Free internet (hard to find in NZ for some reason). Nicely stocked kitchen. Well-decorated and modern. Very close to the Whale Watch and near downtown as well. The fancy spa shower was a bit confusing and didn't really work: temp changed a bit, no buttons really did anything. That would be my only complaint. 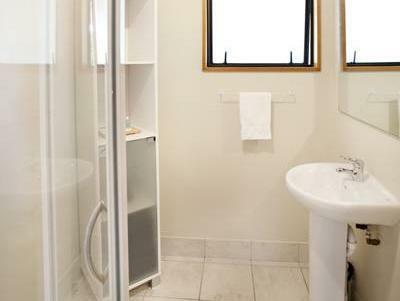 room is comfortably spacious but the kitchen is exceedingly small. the view from bedside is of beautiful alpines stretching across the sky across the garden is a very beautiful sight. staff are very friendly and offer you tips of things to do in and around wanaka. it is just 5mins drive from city center and they offer free garage parking. Sensational! 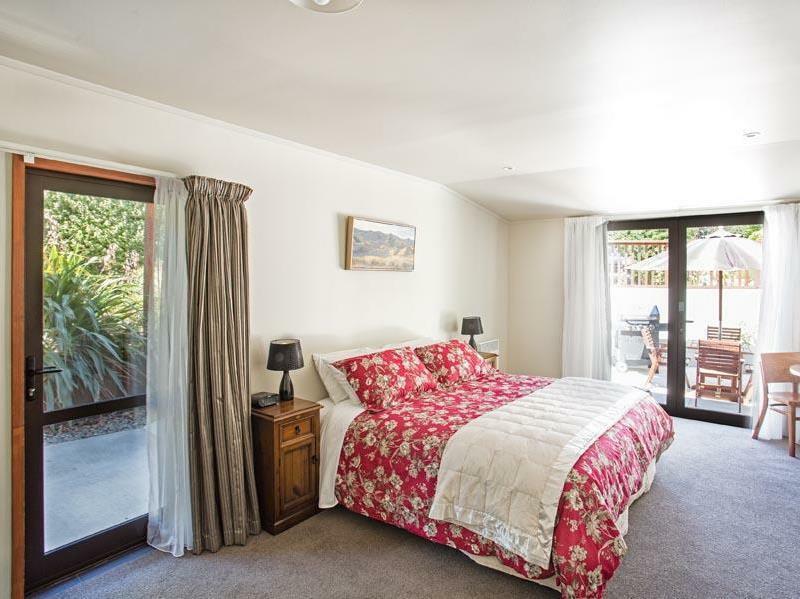 very comfortable accommodation and friendly, helpful owners. Thoroughly enjoyed stay at Wanaka and the accommodation and warmth from our hosts contributed to this. We have told the owner that we will return.